Was Mary Magdalene the “companion” of Jesus, his “partner” or perhaps even the mother of his child? Without doubt she was one of the most important personalities of the New Testament. After the crucifixion of Jesus she became the principal disciple. But was later sidelined by the other apostles who were jealous of her. From what has been seen it would appear that the odds are stacked in favor of Mary Magdalene being more than just a disciple and companion of Jesus. (2) Fienberg, Stephen E. (2008). Editorial: Statistics And “The Lost Tomb Of Jesus”. Retrieved 2011, from http://www.utstat.utoronto.ca/andrey/pubs/Archeology.pdf. (3) Fienberg, Stephen E. (2008). Editorial: Statistics And “The Lost Tomb Of Jesus”. Retrieved 2011, from http://www.utstat.utoronto.ca/andrey/pubs/Archeology.pdf. Was Mary Magdalene The Wife Of Jesus? There is no record anywhere of Mary Magdalene being married to Jesus or of having a child. Asbury Theological Seminary Bible scholar Ben Witherington III states “”There is absolutely no early historical evidence that Mary’s relationship with Jesus was anything other than that of a disciple to her Master teacher” (1). Even if Jesus did have a wife, instead of being an embarrassment, it would have been something to be celebrated. And if he did have children they would have held positions of honor in the church. There is nothing in the second century Gnostic Gospels of Mary and Philip that endorse this claim (2). Even if these Gnostic accounts allude to a relationship that was more than just teacher-disciple these claims cannot be relied upon as they are said to have been written by people at conflict with orthodox Christianity and discarded as heretical (3). Besides, these Gnostic allusions are in no way supported by the Canonical Gospels or Josephus (4). According to some sources Judah is said to be the son of Jesus with Mary Magdalene. That son was referred to as the “Beloved Disciple” at the “Last Supper” and he was also said to be the young boy who ran away naked from the garden of Gethsemane (Mark 14:51). Judah was said to be 10-13 years at that time. Let us suppose that this is true and that Jesus was crucified in AD 30. This would mean that Judah was born around AD 17 and AD 20. If this is so then Jesus and Mary Magdalene would have been married some time between AD 16 and AD 19. This would mean that Mary Magdalene would have been about 16 and 18 years old at the time of her marriage and that she was born around 1BC and 4 AD. As per the Acts of Philip which is generally thought to be authentic, the episode relating to the martyrdom of Philip, the brother of Miriamne, would have taken place in the 8th year of Emperor Trajan. This would mean that the martyrdom took place around AD 104. Eusebius states that the burial of Philip at Heirapolis took place around AD 100. If Mary Magdalene is the Miriamne of this story she would have been between 100 and 106 years of age when she went away to the Jordan River. While some scholars assume that she died and was buried in Jerusalem, others think that she would have proceeded to Galilee and then onto her hometown Magdala. The argument here is that if Miriamne of the Acts of Philip is Mary Magdalene then this is not her ossuary since ossuaries ceased to be used from AD 70 (5). The claim that Mary Magdalene was Mariamne is not totally without basis. In the 4th century Acts of Philip a woman who many think is Mary Magdalene is consistently referred to as Mariamne. So much so François Bovon, Research Professor of the History of Religion wonders if she is the sister of Philip. This version of the Acts is claimed to be “the earliest and most complete one known and is also one of the earliest known historical sources explicitly citing Mary Magdalene’s name.” According to these Acts Mary Magdalene died in Palestine, making it possible for her to have been buried in Jerusalem. Fragments of bone from the “Jesus son of Joseph” ossuary and the “Mariamne” ossuary were tested and the results showed that the two were no blood relatives. From this finding the makers of the documentary “The Lost Tomb of Jesus” draw the conclusion that Jesus and Mary Magdalene were husband and wife. The probable reasoning could have been that otherwise the two would not have been buried together in a family tomb. Opponents of this reasoning argue that the finding only showed that the two were not born of the same mother. They further argue that “the remains were not dated using radiocarbon to further sustain this supposition, neither was any announced DNA testing done on the other ossuaries to see if any familial relation existed there.” The other reason for disagreement with the makers of the documentary is that the two individuals tested could have been related in any of a number of ways including father/daughter, cousins or half brother/sister (11). In his book Simcha concedes that there is no mention in any of the gospels or elsewhere of Jesus being married and fathering children. However based purely on the ossuaries of these two individuals and their contents, he insists that Jesus and Mary Magdalene were husband and wife and that details of this must have been recorded in code (12). The fact that the Gospels of Matthew, John and Mark state that it was Mary Magdalene that Jesus appeared to first, is considered to be significant for several reasons. While she was considered a principle figure in Gnosticism, she was also considered to be the next most important teacher only to Jesus. Some scholars believe that Jesus chose to appear to Mary Magdalene first because of a special relationship. As it was expected of Jewish ribis to marry, why would there be any mention of Jesus being married, unless there was special reason to record it. And those who argue against this have the burden of proving their point and the onus is not on those who endorse what was customary to Judaism (16). In Sept 2012 Harvard University released a photo of a fourth century fragment of papyrus that quotes Jesus clearly referring to having a wife. According to divinity professor Karen L. King this is in all probability the only ancient text on this subject. 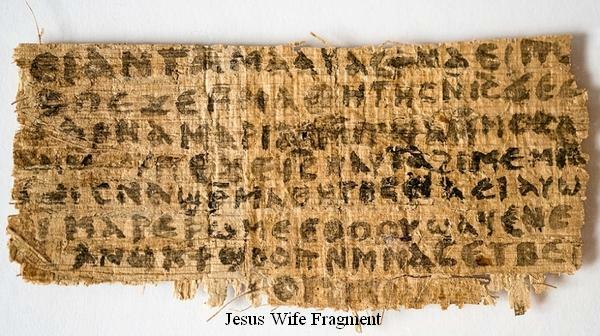 Carbon dating of this so called “Jesus Wife” fragment dates it to the 8th century, some five hundred years after the contents of the official Bible was agreed upon. While many of us think of the Bible as one “cohesive book” its contents were chosen from hundreds of texts. (3) Price, Randall. (n.d.). Jesus Family Tomb Fact Sheet. Retrieved 2011, from http://www.raptureready.com/featured/price/tomb.pdf . (14) Pagels, Elaine. (1979). The Gnostic Gospels. Vintage Books. New York .pg 17. Was Mary Magdalene Just A Disciple Of Jesus? Let’s try and figure out if the ossuary of Mariamne from the Talpiot tomb is the ossuary of Mary Magdalene and if so why her ossuary would have found a place in the family tomb of Jesus, while trying to establish whether or not the Talpiot tomb is Jesus’ family tomb. As referred to in the Gospel of Philip as Jesus’ koinonos, is Mary Magdalene his “companion” or “partner” and perhaps even the mother of his child? (1). Mary Magdalene or Mary of Magdala was one of Jesus’ most famous disciples but her rise to fame was after the crucifixion of Jesus. In spite of that she could well have been central to the Jesus movement but for what may have been gender bias. Based on available information her true relationship with Jesus may have been more than just another devoted disciple. 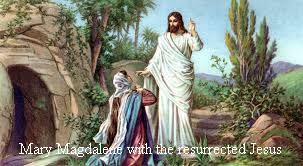 Mary Magdalene is said to have come from a place called Magdala, a town 120 miles to the north of Jerusalem. However her fame was achieved after the crucifixion. She was present at the cross while the male disciples went into hiding fearing for their own lives. Mary Magdalene was also present at the burial of Jesus and according to John 20 and Mark 16:9 she was the first to see the resurrected Jesus. The principal canonical sources of information about her are the four Gospels. However this information, with the exception of Luke, is limited to the period after the crucifixion and apocryphal sources that were written between the late 1st and early 4th centuries. In the canonical Gospels she is referred by name, though not always by the same name as a witness to three important events: the crucifixion of Jesus, his burial and his resurrection. In Mark 15:40, Matthew 27:56 and John 19:25 she is named as one of the few witnesses to the crucifixion. 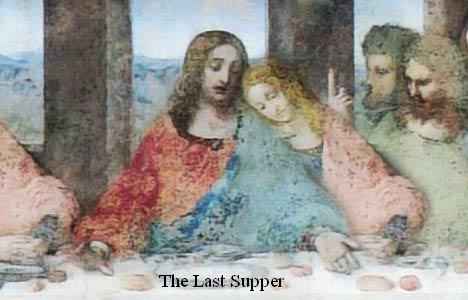 In Mark 15:47 and Matthew 27:61 she is named together with “the other Mary” as a witness to the burial of Jesus. Among the women specifically named in the New Testament the name Mary Magdalene is mentioned most often. And invariably her name is always mentioned first. This is not a coincidence. This is by design to show that Mary Magdalene held a central position not only as a disciple but also because of her special relationship to Jesus. Apocryphal texts depict Mary Magdalene as a “visionary and leader of the early movement” and one who was loved by Jesus more than he loved the other disciples. The Gnostic texts, most of which are dated between the 2nd and 3rd centuries, portray a Mary Magdalene who is considerably different from the Mary Magdalene depicted in the canonical gospels. According to these texts she is portrayed as the special disciple of Jesus who knows more about the teachings of Jesus and is asked to impart this to the other disciples. Because of her greater knowledge about the teachings of Jesus and her closeness to him, the Gnostic texts state that the other apostles, especially Peter, were jealous of her. In the Gospel of Mary she is portrayed as someone who knows more than the male apostles. “Are we supposed to now all turn around and listen to her? Would Jesus have spoken privately with a woman rather than openly to us? Did he prefer her to us?” This jealousy is apparent from Peter’s attack on Mary. The Gospel of Mary purportedly written around the same period as the Gospel of Philip elevates Mary Magdalene to a position higher even than the male disciples of Jesus. Although some question the identity of the central character of these Gospels, it is generally agreed that it is Mary Magdalene. Pistis Sophia portrays Mary Magdalene as being among the chosen of Jesus. Written sometime in the 2nd century it quotes Jesus as saying “Mary, thou blessed one, whom I will perfect in all mysteries of those of the height, discourse in openness, thou, whose heart is raised to the kingdom of heaven more than all thy brethren”. It cannot be denied that the resurrection of Jesus was the turning point for Christianity. This was the singular event that transformed a localized group into a major religion. And the catalyst to the movement was none other than Mary Magdalene. This gospel also depicts Mary Magdalene as “as a teacher and spiritual guide to the other disciples. She’s not just a disciple; she’s the apostle to the apostles” (2). It is perhaps because of this that Mary Magdalene went her separate way. There is very little known what happened to her after that. Although there are many theories about her life after Jesus’ crucifixion, all of it is speculation. No one knows for certain where she was born or when and where she died. Mary Magdalene rose in significance with the crucifixion and resurrection narratives. Actually, the gospels say very little about her until the story reaches the day of the crucifixion. But then she suddenly becomes very prominent. She saw Jesus die on the cross, and she watched to see where his body was taken. She went back to the tomb early on Easter morning and discovered that it was empty. And the Gospel of John indicates that she was the first person to see Jesus after his resurrection. Why Was Mary Magdalene Hardly Mentioned Anywhere Else In The New Testament? But then, without any explanation, she completely disappears from the story. The Book of Acts never mentions her, nor does Paul in any of his letters. Her sudden entry and exit during the most critical part of the story puzzles many scholars. Since she played such a significant role in the key events, why is she hardly mentioned anywhere else in the New Testament? Evidence from outside the bible suggests a possible answer. This evidence indicates that Mary was ostracized by the other disciples after Jesus departed. One example of the possible hostility toward her can be found in Section 114 of the Gospel of Thomas, where Peter says “Let Mary leave us, for women are not worthy of the Life”. The Gospel of Mary also depicts friction between her and Peter. All of this suggests that Peter may have led an attempt to drive her out of the original group of believers. These first believers, who became known as the Nazarenes, lived in Jerusalem for a number of years after Jesus’ resurrection, but there is no record that Mary was ever with them. Some scholars have suggested that Peter wanted to get rid of her because he saw her as a threat to his position as the main leader of the post-resurrection community. She could have also suffered from the general prejudice against women who tried to assert themselves in the male-dominated societies of ancient times. Although the bible says nothing about her later life, other sources do preserve some stories about her. According to one well-known tradition, she went to southern France and lived for thirty years at a place called La Sainte-Baume. A local church there claims to have her skull and displays it to pilgrims. During the Middle Ages she became a symbol of the virtue of repentance, due to the belief that she was a reformed harlot. She is the patron saint of Magdalen College, Oxford and Magdalene College, Cambridge. But her name was also used for the infamous Magdalen Asylums for “fallen women” in Ireland (3). After almost 2000 years Mary Magdalene was again in the news thanks to the discovery of an ossuary with “Mariamne Mara” inscribed on it and a documentary titled the “Lost Tomb of Jesus” co-produced and broadcast on the Discovery Channel and Vision TV in Canada on March 4, 2007. Not everyone agrees with the film makers identifying this Mariamne Mara with Mary Magdalene. The Gospels refer to Mary Magdalene as Maria about eight times. They refer to her by the Semitic name Mariam four times. However the Gospels also refer to Mary the sister of Martha and Mary the mother of Jesus using the same variations (4). Sometimes one Mary has been confused for the other. 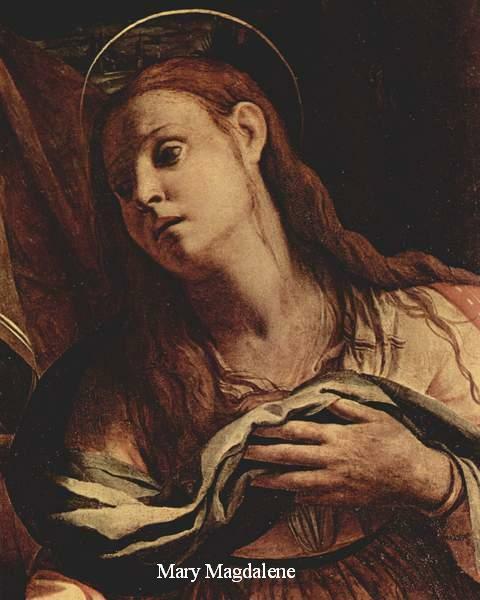 Besides this Mary Magdalene, Mary of Bethany (the sister of Martha and Lazarus), and the unidentified repentant woman who anointed Jesus’ feet were all thought to be the same woman. This led to the faulty conclusion that Mary Magdalene was a prostitute before she came into contact with Jesus (6). It cannot be said with certainty that the Mariamne in the Acts of Philip refers to Mary Magdalene as this Mariamne is not attributed with any of the significant events associated with her in the Gospels – the Mary Magdalene of the Gospels is healed by Jesus, witnesses the burial of Jesus (Mark 15:40-47) and is a witness to the resurrection of Jesus (Mark 16:1-8). On the flip side there is no mention in the Gospels of any of the fantastic things that the Mariamne of the Acts of Philip is supposed to have done – “such as converting talking animals and slaying a dragon!” Even if there was any reference in the Acts of Philip that could be construed as referring to Mary Magdalene not every one agrees that reference in the 4th century work written in far away Palestine about a 1st century personality can be accepted as proof (7). However in support of the claim that the Mariamne inscription of the Talpiot tomb refers to Mary Magdalene, it may be said that the only other place where she is referred by that name _ i.e Mariamne spelled with an N – is the Acts of Philip (8).